A dental implant is the best option to replace a missing tooth. 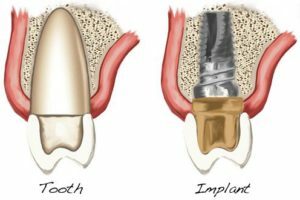 The dental implant (a titanium cylinder) is placed into the jaw bone and allowed to heal. The bone grows around it forming a tight connection locking the implant into the jaw. Furthermore, the dental implant stops the bone loss that occurs when the root of a natural tooth is missing. 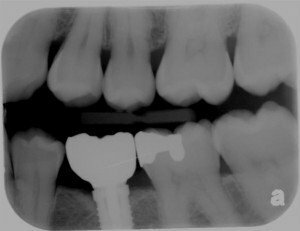 Once the implant is ready to be restored, Dr. Nugent will restore the implant with the abutment and crown. 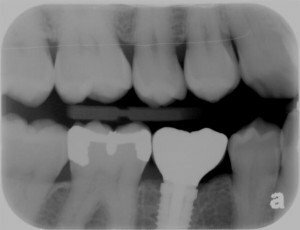 The abutment screws into the implant and serves as the base for the beautiful porcelain crown. 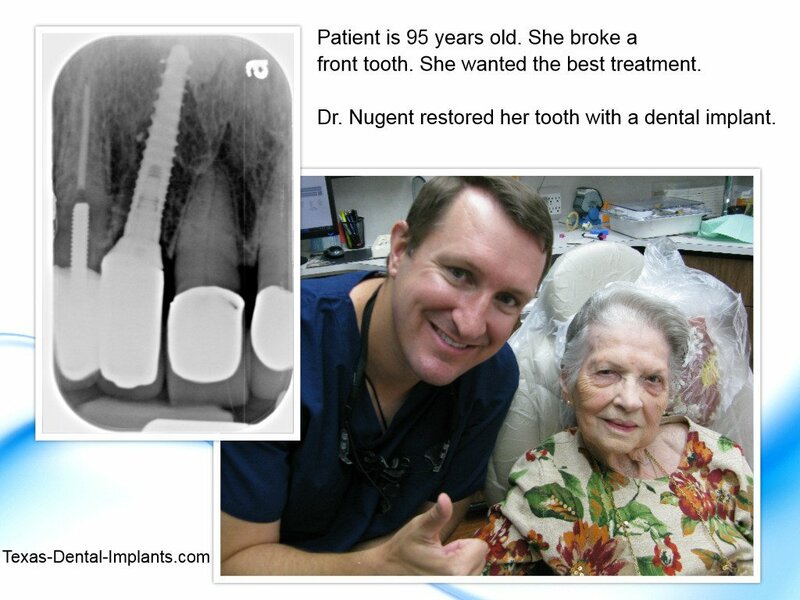 Dental Implants offer a permanent solution to missing teeth. Implants are much better than old fashioned bridges. Implants are superior to Bridges. Five reasons why a dentist would want to do an old fashioned bridge instead of a dental implant. Implants can also be used as anchor points for implant dentures. The dentures “snap” onto the implant creating a secure and stable foundation. 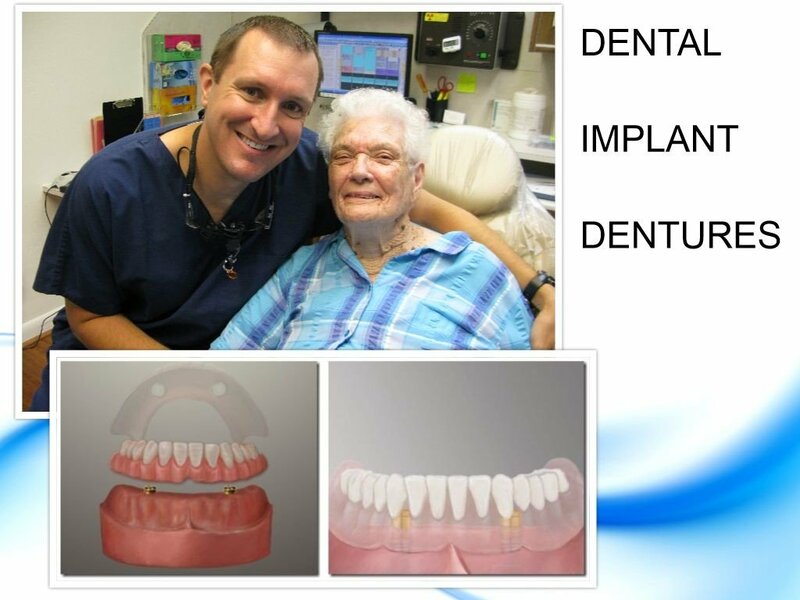 Patients with implant dentures do not have to use messy denture adhesives. The dentures are rock solid. Patients can eat the foods they love and don’t have to worry about their dentures falling out. 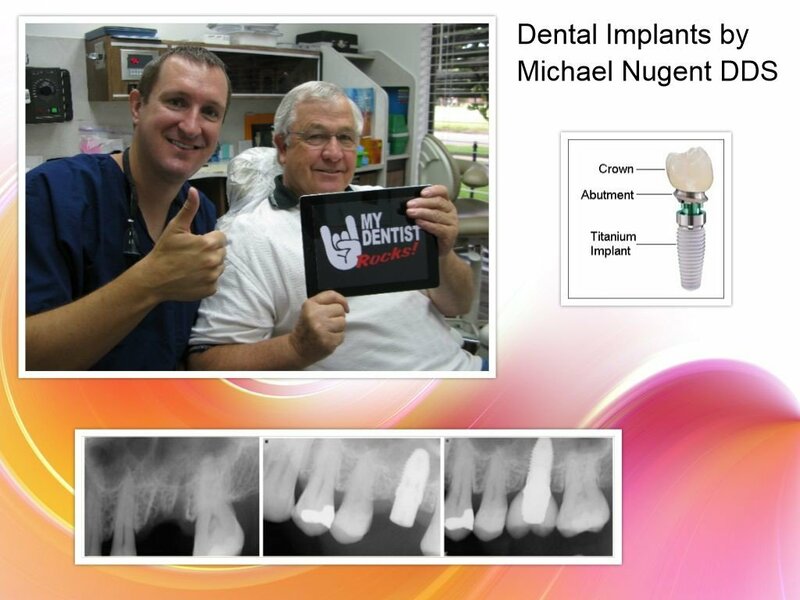 Dr. Michael Nugent is a Family Dentist located at 3421 Burke Rd, Ste A, Pasadena Texas 77504. The office is known for Family, Cosmetic, Implant and Sedation Dentistry. Dr. Nugent has been voted BEST PASADENA TEXAS DENTIST multiple times. 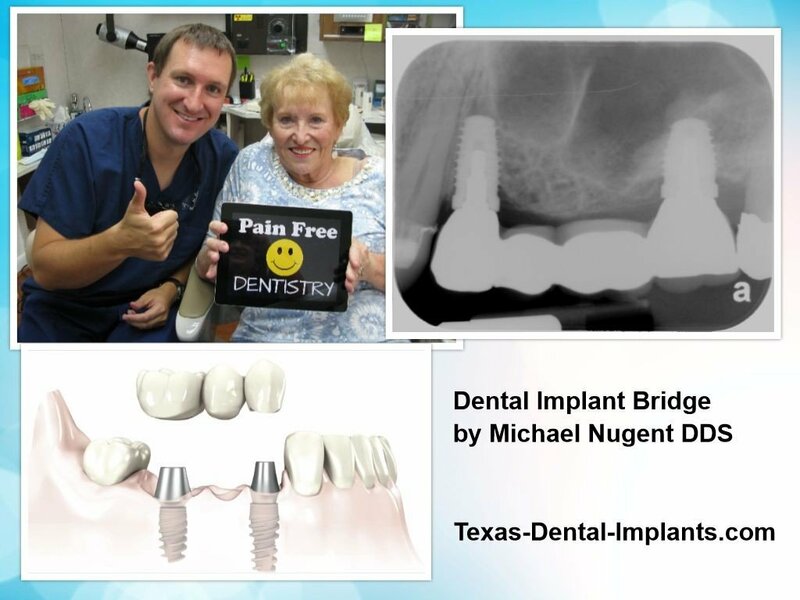 If you are missing teeth or are suffering with and old fashioned denture, let Dr. Nugent show you how implant dentistry can change your life. Regain your dental health with the best dental technology available. Call us today at 713-941-8261.